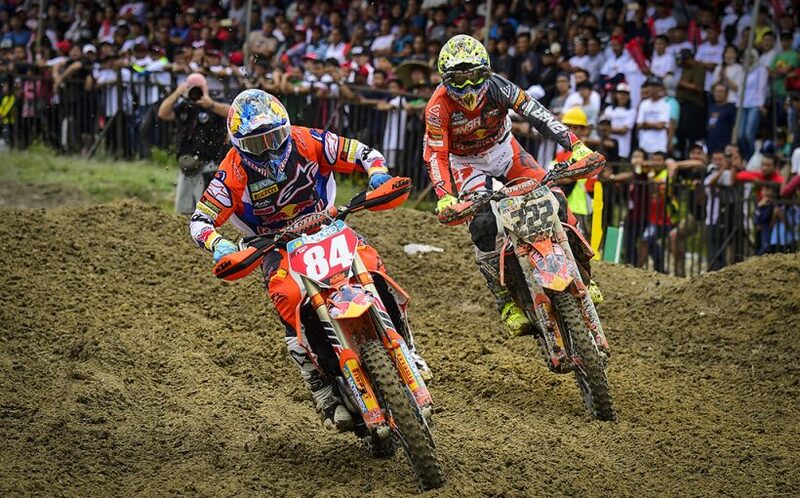 Herlings and Vlaanderen take Intense Indonesian Wins . 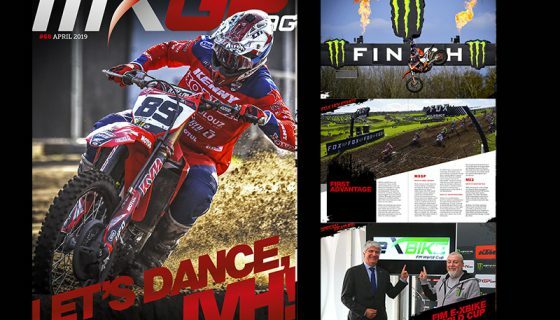 The first weekend of two back to back MXGP stops in Indonesia has been completed and will be one to remember. The intense Indonesian racing was full of action and entertainingly unpredictable. In the end Red Bull KTM Factory Racing’s Jeffrey Herlings returned to winning form and Team HRC’s Calvin Vlaanderen scored his first ever career victory in MX2. The MXGP of Indonesia is a unique experience with the most welcoming fans and MXGP enthusiasts in the world. 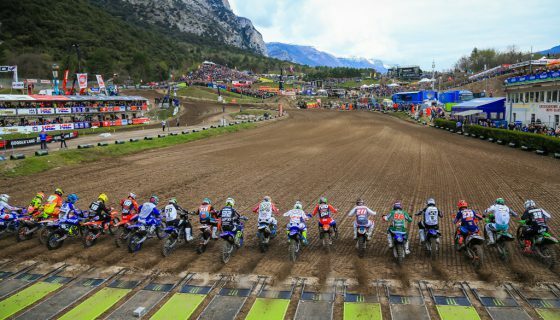 The welcoming atmosphere was even more evident than normal with the start of today’s Motocross World Championship racing. Kicking off the event was an epic opening ceremony including a massive marching band performing alongside traditional Indonesian dancers. The opening ceremony was taken in by not only the thousands of fans in attendance but also by various officials: Youthstream Vice President David Luongo, FIM/CMS Director Tony Skillington, Indonesian Minister of Sport and Youth Dr. H. Imam Nahrawi S.Ag. M.KP, Governor of Bangka Belitung Dr. H. Erzaldi Rosman S.E. M.M and Head of the IMI (Indonesian National Federation of Motorsport) Sadikin Aksa whom all later took part in opening speeches. 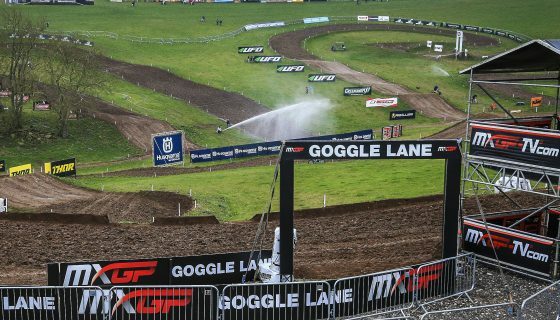 Today’s track was technical and rutted by mother nature provide the best weather conditions ultimately leading to some of the most interesting racing this season. The MXGP class is undeniably stacked with talent but mostly it is filled with some of the most dedicated, hard working, and resilient riders on the planet. On a regular basis the Red Bull KTM Factory Racing duo of Antonio Cairoli and Jeffrey Herlings exemplify the traits mentioned above and today was a prime example of such. MXGP Race 1 started with a Fox Holeshot from Herlings ahead but with Cairoli just behind. The pair led Rockstar Energy Husqvarna Factory Racing’s Gautier Paulin and Team HRC’s Tim Gajser on the first laps but by the start of lap 3 Gajser and Monster Energy Kawasaki Racing Team’s Clement Desalle had passed Paulin. Paulin then had Monster Energy Yamaha Factory MXGP’s Romain Febvre lurking in the distance while Cairoli was challenging Herlings for the lead. A bobble from Herlings gave Cairoli the opportunity to pass the #84 who made another mistake to give Cairoli a gap. Herlings managed to keep Cairoli within sight for a while but realized 2nd was good enough after only breaking his collar bone 2 weeks ago. In a battle for 5th was the Frenchmen of Paulin and Febvre but Febvre took the position just past the halfway point. A few laps later Desalle took 3rd from Gajser and charged up to Herlings who then responded to hold the position. For the remaining laps the lead group stayed the same and Cairoli took the win nearly 10 seconds ahead of Herlings, Desalle, Gajser, and Febvre. MXGP’s second and final race of the day decided the overall, was full of battles, and even through in some plot twists. On the start it was a Fox Holeshot from Herlings after he pushed wide to hold Gajser off. Herlings soon realized he had faded to far outside however as Cairoli took the lead and he found himself jostling with Desalle. Out of the exchange off the start Cairoli took the lead and Gajser was second with Herlings third. The intensity from the top three on the first laps was incredible starting with Gajser passing Cairoli for the lead. Only a turn later Herlings railed around the outside to take second from Cairoli and proceed to catch Gajser. Gajser was then caught off guard as Herlings carried a massive amount of speed through the rollers and jump to the inside of the Slovenian in front of Pit Lane. Cairoli was quick to pass Gajser back through the first turn but on the following lap missed a double which let Gajser back into second. Similar to the move of Herlings the lap prior Cairoli stayed to the inside down the pit lane straight and retook 2nd place. Throughout it all Febvre was 4th with a front row view ahead of Paulin and Red Bull KTM Factory Racing’s Glenn Coldenhoff. Febvre came close to the action ahead of him when Cairoli ejected over the front of the bike through turn 2. The mistake of Cairoli gave second back to Gajser and nearly gave 3rd to Febvre. It only took another lap though before Cairoli passed Gajser for 2nd position his 3rd time. Gajser and Febvre then proceeded to battle for 4th swapping positions nearly every lap. Just passed the halfway point Febvre made a strong move past Gajser and was then able to create a gap. As the race winded down Cairoli chipped at the lead of Herlings but was still over 5 seconds back with 4 laps to go. Just before crossing the line with three laps to go Herlings fell in the last turn. Slow to pick his bike up after seeing Cairoli take the lead Herlings seemed to be content with second. This was until Cairoli crashed in turn 2 for the second time just ahead of him. Herlings took the lead just ahead of Cairoli who remounted his KTM with bent bars and a missing throttle grip. Cairoli tried to retake the lead but was unable to do so giving Herlings both the race win and overall for a dramatic conclusion to the weekend. Febvre took third in both the race and the overall while Gajser and Coldenhoff scored 4th in 5th place in race 2. MXGP Race 1 Top Ten: 1. Antonio Cairoli (ITA, KTM), 35:04.336; 2. Jeffrey Herlings (NED, KTM), +0:09.864; 3. Clement Desalle (BEL, Kawasaki), +0:11.509; 4. Tim Gajser (SLO, Honda), +0:13.998; 5. Romain Febvre (FRA, Yamaha), +0:24.568; 6. Gautier Paulin (FRA, Husqvarna), +0:39.048; 7. Glenn Coldenhoff (NED, KTM), +0:59.381; 8. Jeremy Seewer (SUI, Yamaha), +1:01.956; 9. Evgeny Bobryshev (RUS, Suzuki), +1:08.131; 10. Jeremy Van Horebeek (BEL, Yamaha), +1:12.088. MXGP Race 2 Top Ten: 1. Jeffrey Herlings (NED, KTM), 34:59.818; 2. Antonio Cairoli (ITA, KTM), +0:09.419; 3. Romain Febvre (FRA, Yamaha), +0:38.775; 4. Tim Gajser (SLO, Honda), +0:43.053; 5. Glenn Coldenhoff (NED, KTM), +0:44.545; 6. Max Anstie (GBR, Husqvarna), +0:47.722; 7. Gautier Paulin (FRA, Husqvarna), +1:02.639; 8. Clement Desalle (BEL, Kawasaki), +1:10.912; 9. Evgeny Bobryshev (RUS, Suzuki), +1:16.932; 10. Jeremy Seewer (SUI, Yamaha), +1:18.060. MXGP Overall Top Ten: 1. Jeffrey Herlings (NED, KTM), 47 points; 2. Antonio Cairoli (ITA, KTM), 47 p.; 3. Romain Febvre (FRA, YAM), 36 p.; 4. Tim Gajser (SLO, HON), 36 p.; 5. Clement Desalle (BEL, KAW), 33 p.; 6. Glenn Coldenhoff (NED, KTM), 30 p.; 7. Gautier Paulin (FRA, HUS), 29 p.; 8. Max Anstie (GBR, HUS), 25 p.; 9. Evgeny Bobryshev (RUS, SUZ), 24 p.; 10. Jeremy Seewer (SUI, YAM), 24 p.
MXGP Championship Top Ten: 1. Jeffrey Herlings (NED, KTM), 533 points; 2. Antonio Cairoli (ITA, KTM), 521 p.; 3. 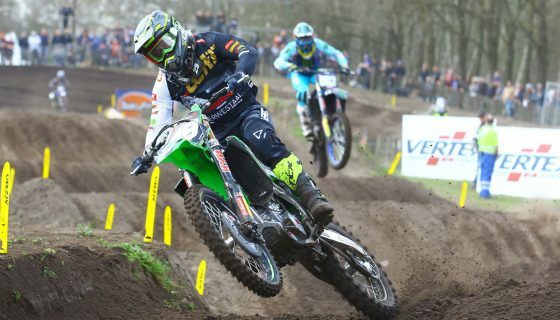 Clement Desalle (BEL, KAW), 407 p.; 4. Romain Febvre (FRA, YAM), 390 p.; 5. Tim Gajser (SLO, HON), 368 p.; 6. Gautier Paulin (FRA, HUS), 363 p.; 7. Glenn Coldenhoff (NED, KTM), 319 p.; 8. Jeremy Seewer (SUI, YAM), 279 p.; 9. Jeremy Van Horebeek (BEL, YAM), 257 p.; 10. Maximilian Nagl (GER, TM), 211 p.
MXGP Manufacturers: 1. KTM, 597 points; 2. Kawasaki, 426 p.; 3. Yamaha, 415 p.; 4. Honda, 383 p.; 5. Husqvarna, 382 p.; 6. TM, 211 p.; 7. Suzuki, 207 p.
MX2 was nearly as unpredictable as that of MXGP with a similar championship scenario at the front of many minds. Red Bull KTM Factory Racing’s Pauls Jonass and Jorge Prado are also in a title fight similar to that of Cairoli and Herlings with the older rider and defending champion battling the young talent. In MX2 Race 1 however, we witnessed Rockstar Energy Husqvarna Factory Racing’s Thomas Covington take the Fox Holeshot ahead of Team HRC’s Calvin Vlaanderen. Prado and Jonass weren’t far behind in 3rd and 4th and by the end of lap 2 Jonass took 3rd from Prado. Covington’s strong start allowed him to create a gap over Vlaanderen which only grew as the race went on. Back in 5th position was Covington’s Rockstar Energy Husqvarna Factory Racing Teammate Thomas Kjer Olsen. Vlaanderen’s pace was impressive even pulling away from Jonass. By the last half of the race Jonass had closed the gap back down and, with Prado on his heels, took 2nd from Vlaanderen. Prado seeing Jonass get away put his focus into passing Vlaanderen but the Honda rider held the Spaniard off the final four laps. At the finish it was Covington with the win, Jonass 2nd, then Vlaanderen, Prado, and Olsen. Just missing out on a top five result was Kemea Yamaha Official MX2’s Ben Watson with his 6th place comeback from 16th position on lap 2. MX2 Race 2 was season first Fox Holeshot for Vlaanderen ahead of Jonass, Olsen, Prado, and Watson. On the opening lap Olsen dropped two spots to both Prado and Watson with the #919’s rare good start. Vlaanderen focused on putting in solid laps while Prado hounded Jonass for 2nd. LRT KTM’s Davy Pootjes took 5th away from Olsen on lap 7 as Vlaanderen gapped Jonass and Prado. The following lap Prado made a move on Jonass to take second. Less than a lap after losing a spot to Prado, Jonass lost 2 more after being passed by Watson and Pootjes. Jonass immediately came under pressure from race 1 winner Covington who had just passed Olsen on his way forward from 10th on the first lap. Olsen then fell and dropped back to ninth while Covington passed Jonass for 5th. Continuing to drop back Jonass lost another spot to Kemea Yamaha Official MX2 Team’s Jago Geerts just after Watson made a pass on Prado for 2nd. At the finish Calvin Vlaanderen took the race win and his first overall victory along with South Africa’s first win since Tyla Rattray in 2008. Watson took 2nd with Prado 3rd, Covington 4th, and Pootjes 5th. Jonass meanwhile took a frustrating 7th behind Geerts. In the overall standings Covington was second with his 1-4 losing out to Vlaanderen’s 3-1 and Prado was 3rd with a 4th and 3rd. MX2 Race 1 Top Ten: 1. Thomas Covington (USA, Husqvarna), 35:01.963; 2. 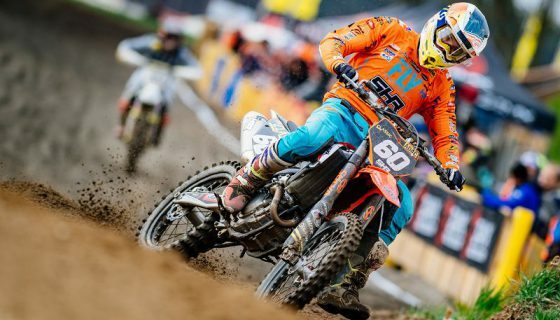 Pauls Jonass (LAT, KTM), +0:13.089; 3. Calvin Vlaanderen (RSA, Honda), +0:15.705; 4. Jorge Prado (ESP, KTM), +0:16.627; 5. Thomas Kjer Olsen (DEN, Husqvarna), +0:28.199; 6. Ben Watson (GBR, Yamaha), +0:37.818; 7. Jago Geerts (BEL, Yamaha), +0:45.348; 8. Michele Cervellin (ITA, Yamaha), +0:49.681; 9. Adam Sterry (GBR, Kawasaki), +0:55.513; 10. Davy Pootjes (NED, KTM), +0:57.460. MX2 Race 2 Top Ten: 1. Calvin Vlaanderen (RSA, Honda), 35:13.293; 2. Ben Watson (GBR, Yamaha), +0:06.206; 3. Jorge Prado (ESP, KTM), +0:17.544; 4. Thomas Covington (USA, Husqvarna), +0:21.834; 5. Davy Pootjes (NED, KTM), +0:25.396; 6. Jago Geerts (BEL, Yamaha), +0:29.400; 7. Pauls Jonass (LAT, KTM), +0:31.824; 8. Henry Jacobi (GER, Husqvarna), +0:32.066; 9. Thomas Kjer Olsen (DEN, Husqvarna), +0:59.259; 10. Michele Cervellin (ITA, Yamaha), +1:05.194. MX2 Overall Top Ten: 1. Calvin Vlaanderen (RSA, HON), 45 points; 2. Thomas Covington (USA, HUS), 43 p.; 3. Jorge Prado (ESP, KTM), 38 p.; 4. Ben Watson (GBR, YAM), 37 p.; 5. Pauls Jonass (LAT, KTM), 36 p.; 6. Jago Geerts (BEL, YAM), 29 p.; 7. Thomas Kjer Olsen (DEN, HUS), 28 p.; 8. Davy Pootjes (NED, KTM), 27 p.; 9. Michele Cervellin (ITA, YAM), 24 p.; 10. Henry Jacobi (GER, HUS), 23 p.
MX2 Championship Top Ten: 1. Pauls Jonass (LAT, KTM), 510 points; 2. Jorge Prado (ESP, KTM), 503 p.; 3. Thomas Kjer Olsen (DEN, HUS), 394 p.; 4. Ben Watson (GBR, YAM), 376 p.; 5. Calvin Vlaanderen (RSA, HON), 331 p.; 6. Thomas Covington (USA, HUS), 297 p.; 7. Jago Geerts (BEL, YAM), 275 p.; 8. Michele Cervellin (ITA, YAM), 230 p.; 9. Henry Jacobi (GER, HUS), 223 p.; 10. 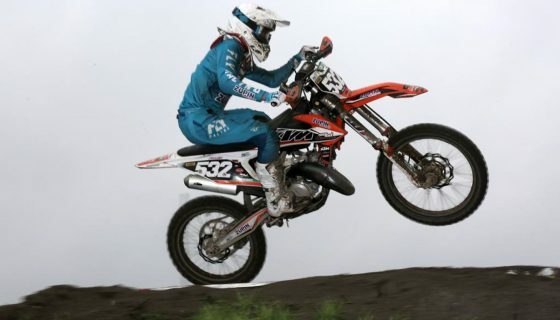 Davy Pootjes (NED, KTM), 218 p.
MX2 Manufacturers: 1. KTM, 578 points; 2. Husqvarna, 491 p.; 3. Yamaha, 410 p.; 4. Honda, 399 p.; 5. Kawasaki, 287 p.; 6. TM, 119 p.